I’ve been living with and in my new 2018 Glacier Peak 30RLS 5th Wheel now for just about 90 days. 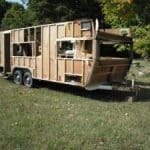 What follows is a video of the interior and an indepth analysis of this trailer manufactured by Outdoors RV. After 2 years of research, looking for a fifth (5th) wheel that is a TRUE 4 season trailer, well built, spacious and roomy BUT not over-sized, Outdoors RV Manufacturing of La Grande Oregon released and build (almost) exactly what I was looking for. So, how are things working out in my new Glacier Peak after nearly 90 days – mostly in Idaho’s central-western mountains in the winter? Short answer… “just fine”. That said, I’ve learned quite a bit about my Glacier Peak 30RLS and in the following video, I’ll show you some of the design and engineering features that I have grown to appreciate over the past several weeks. 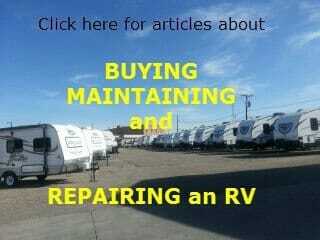 Further, as a RV consultant myself, I know how most campers in this industry are constructed. Simply put, I wanted to find a camper that “breaks the mold” when it comes to quality construction and innovative design… I may be biased, but I believe in the Outdoors RV Glacier Peak 30RLS, I’ve found it! Allow me to share what I have found that matters in a trailer. Remember – having traveled full time for nearly 6 years in my (prior) Crossroads Seville and having spent each winter in the Rocky Mountains, I have seen what holds up and what doesn’t – giving me a pretty good idea of what was done well by Outdoors RV when they built the 2018 Glacier Peak 30RLS. I’ve come to appreciate a large microwave-convection oven and a larger (double-door) refrigerator. The Glacier Peak does not disappoint in either category. The cabinetry is (frankly) exceptional from three perspectives – the finish (Knotty Alder) is real wood and actually high quality; the drawers are well built and DEEP; and the rails are top notch – 100 pound rails so weight of cargo is not even a consideration when loading the drawers. This approach holds true throughout the camper. And… I should note, the kitchen is NOT the area that hooked me when I first inspected this model. 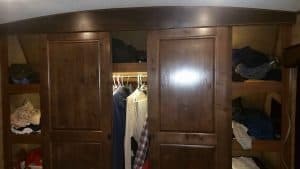 The pantry is one of the few areas where this camper could use improvement – and if you review my video, you’ll see the modification I made to remove this weakness. 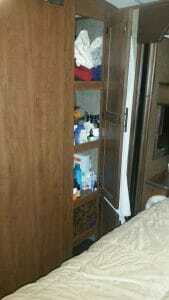 The photo below illustrates the sliding drawers I had installed a few weeks after taking possession. Leather NOT “pleather” furniture – that’s what you want – and that’s what you’ll get in a Glacier Peak (and all Outdoors RV trailers. Storage – THAT’S another key for me! Note the cabinetry distributed throughout the living area. As detailed earlier, the cabinets are well built and provide more than ample room for storage. 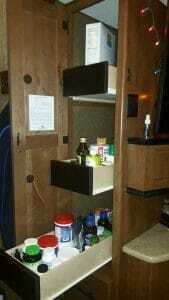 Again, the cabinets throughout the camper are made of Knotty Alder with brass handles and excellent quality hinges. Even with cabinets in the living area, the windows are large and allow for excellent light and views. The TV’s size is more than adequate and is well positioned for viewing from the recliners and the couch. The stereo is bluetooth which I appreciated while listening to a recent Southside Johnny concert broadcast on Sirius – through my phone and into the campers speakers! I must admit, the Glacier Peak 30RLS was not my first choice floor plan, but I had to be a man true to my values – I was going to buy the best built trailer with a reasonable floor plan, not the best floor plan offered by a second rate company (and there are plenty of those to choose from!) Truth be told, I’m a fan of center islands, but that said, there’s plenty of counter space in the Glacier Peak kitchen and without the center island, I do appreciate the openness of the space in the living area. Glacier Peak’s Bedroom and Bathroom – the areas that truly won me over! 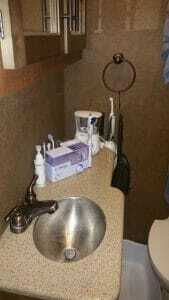 Glacier Peak 30RLS Bathroom vanity… Wow! 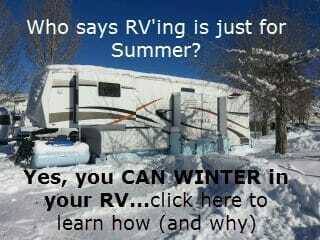 First, you need to know… calling something in the RV industry “4 season” has NO official meaning. Frankly, there are MANY campers in the RV industry whose manufacturers refer to them as “4 season” and they include virtually NONE of the design and engineering featurs I’m about to detail here. Lets start with the walls – all walls including the slides and the slide ceiling have a two inch thick layer of high density foam that is sealed by layers on Luan on both sides. 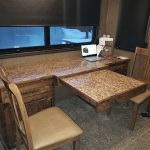 (All the Outdoors RV travel trailers and fifth wheels that contain a booth dinette use this material to support the cushions on the benches, so you can actually see what they’re using inside the walls. It also makes for a very supportive seating area! I’ve found 2 inch thick insulation to be quite sufficient to separate my camper from the harsh outside environment this winter. 4 Season Campers… Whats under YOUR floors? The underbelly is critical to avoiding freeze-ups. This winter, I’ve grown to appreciate WARM floors as the furnace has a duct dedicated to forcing warm air through the underbelly. This is where your tanks and plumbing are – and in any subfreezing cold, they MUST be protected. Outdoors RV adds three layers of insulation in the underbelly – two layers of “pink panther” fiberglass and a layer of R-foil. These layers are enclosed in weather proof plastic which is NOT pulled tight against the chassis – this insures the fiberglass insulation remains soft and “fluffy”, thus retaining is true insulating properties. You’ll note in the video, an arched ceiling inside the Glacier Peak 30RLS (and ALL Outdoors RV trailers and fifth wheels.) This is not just a cosmetic feature. There is actually several inches of open space in the heeled truss roof. This design allows the 3 layers of insulation (2 of “pink panther” and 1 R-foil) to remain uncompressed (“fluffy”) from side wall to side wall. 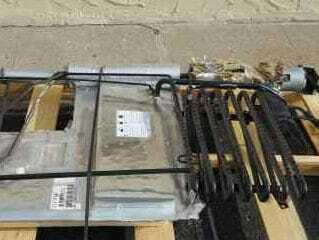 By NOT compressing the pink panther again, its full insulation ability is retained and utilized. I’ve also found that with a curved roof, snow more easily works its way off the roof! My trailer is their second production run for this model and several issues were addressed and upgraded from the 2017 model. The next production run of these trailers will likely be for the 2019 model year – as In addition to being a proud owner of the 2018 Glacier Peak 30RLS, I am a RV consultant and feel very strongly about Outdoors RV in general – both the quality of product they produce and the value in each of their trailers. I’ll invite you to contact me privately if you wish to explore options when it comes to purchasing one – my email is traveler@rvacrossamerica.net. Considering the outside design and features addressed in this Outdoors RV fifth wheel in a prior article and the inside addressed here, this Glacier Peak trailer in my view is one of the best available today – and its price is certainly nowhere near what you could spend on a fifth wheel as some price for $100,000. or even more. Every day that I return from the ski slopes, I appreciate the various design and engineering features in my camper and know I’ll have many years of great service from this well built (and good looking) machine. If you have thoughts and questions, please post in the reply area below – or – message me privately at the email provided earlier. If you want to see some of the accessories I’ve equipped my camper with, please click the image below. I also mentioned a space saving gadget for my cabinets in the video, you can see what it is below as well. 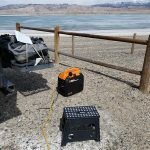 Breaking RV Camp in the dead of Winter – It takes a unique brand of STUPID! Awesome trailer Allen. Going to RV show in Houston in February. Don’t think Outdoors rv will be there. Still partial to the Grand Design trailers. Not to much into the cold weather camping like you but this year we have had a winter in central Texas. Love your blog and keep putting out the videos. I get new info on each one. THANK YOU for sharing! When you first bought your rig, I was always wondering after the dust settled. Can’t you just buy an island for your kitchen? I think you are parked more than you move around. 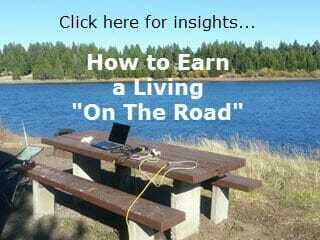 Even though, you are a full-time RVer. I don’t even know if they make them for RVs that are not built in, but you could buy a cheap one, and then when you’re through with it, wheel it out of the way, and secure it. The only reason I say this is because I have an island, though it’s not in a RV, and I use it all the time (the only thing I could think of that you might have to be careful of are the wheels, so it doesn’t scuff up your floor!). Brad, A portable island is problematic in a camper. Here’s why: first, when the slides are closed up (in), there is no room for the island in a trailer not designed for one; second – having something like that on castors is a disaster waiting to happen – it will slide when in motion and ding up something. I have seen this with trailers that were designed to have a mobile island. Bottom line – I can definitely live without the island since this floor plan does not allow for it. The only caveat that I can see is that might scuff up your floor. Good to hear from you. Looks like you’re having a great time. Wanted to leave you another note. Based on your website and your information, you tipped me over the edge and we bought a F30RLS. I can’t remember which model but I seen a kitchen floor plan on your company website that ( when facing the stove) had an extra counter on the left making a U shape which adds way more counter surface and storage. The electric ‘fireplace’ was on the living room side of that counter with the TV above it. The Glacier Peak RLS available in my area has the fridge where that counter was and the electric ‘fireplace’ behind the seating of the dinette. 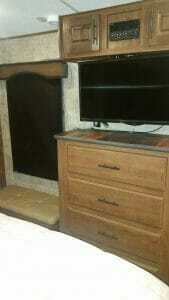 Seems like an odd place to put it since it’s barely visible there and the TV is in the dinette area too. You had invited me to come over and buy one from you so I have to ask if it’s possible to specify the Glacier Peak 5th Wheel floor plan? I’m having a hard time following your description, so I’ll answer this way – Currently there are only two full profile models offered by Outdoors RV (whom I do not work for – just to be clear, but I can help you to custom order one). The 30RLS – rear living and the 30RKS – rear kitchen. Both can be seen on the ORV website. These are the same floor plans that were available when first introduced in 2017. There are some minor floor plan changes that can be special ordered, but only to the extent of refrigerator size, which impacts the existence or not of a pantry next to the fridge. (Mine has the larger fridge with no pantry space next to it.) There was a 30RDS that was briefly available when the new models were introduced earlier in 2017, it featured a rear dinette and a center island. It is no longer being produced. When you’re ready, I’ll be happy to earn your business and help you customize the model you want to whatever extent is possible. The ORV website where you can see the current lineup of Glacier Peak’s is here – outdoorsrvmfg.com/glacier-peak/ I hope this helps you Tim. A also want to thank Allen for showing us our first Timber Ridge the wife said “this is the one” 45 minutes later. So 18 months in searching and we have a winner. If you want mediocre build quality buy a Indiana built unit, if you want an RV built like a tank, buy a Oregon built unit. Thanks Jim! They truly are “a cut above”! Many prospective customers just go to a dealers lot, see a floor plan they like and ask what the payments are. As in your past article on trade in values, if a few years later they come to find out what they bought was a stapled box on wheels, now they want a “real” RV. Why not buy a real RV on the first try. While in the negotiation process of my ORV Timber Ridge last fall, my buddy was also purchasing a new RV. I tried to change his choice of a Cherokee Gray Wolf tin box. Then 2 weeks after he bought it I was driving past his house and there was another new / different RV in his drive. Here 2 weeks and one trip after he bought the Gray Wolf (Forest River), they knew they bought the wrong RV. He admitted he took a beating trading a 2 week old RV in on another new Rockwood Ultra Lite RV. John, for what you spent here you could have bought a quality RV like a ORV or Arctic Fox the first time. And he is very close to retiring….He thought I was nuts driving 2300 miles to pick up a new RV. Yep, he got clobbered on the trade – and if he got a rockwood – he bought another forest river… wow!! Talk about slow to learn! Thanks for sharing your choice of RV. The Outdoors Mountain Series is at the top of the list for me and my wife. 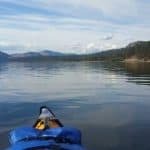 We have been doing research for almost two years now on what to get to live in full time. 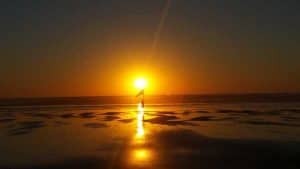 Early on we were thinking of Augusta. Then we liked DRV. These units seem to be well built but we decided that they are too big and heavy. What do you use to pull your RV? I think that a Ram 2500 should be strong enough for the 30RLs. What do you think? I pull it with a 2015 F250, a Ram 2500 will be fine. When you’re ready, please feel free to contact me and we can see about getting you a Glacier Peak. Just know their next build of Glacier Peaks will be for delivery to dealers in Autumn. Currently I have 1 or 2 glacier peak’s in stock. Ok, allow me to be clear Leslie – I’m referring ONLY to the new 30RLS and 30RKS models. This was a new design in 2017 and in general you should NEVER buy a 1st year design from any company – especially when it is a radical departure from what they’ve made before. The 26 and 28 models are NOT affected by this. Which model are you looking at? What part of the country are you in? We are waiting for the insurance co. We have a broken frame on the back of our fifth wheel and cannot find anyone who will fix it. How much do you want for the glacier peak! With a full pre-delivery inspection, walk-through and orientation, full propane tanks, and 2 batteries, and the documents fee, I’d offer it to you for $67,000. I’m certainly available to discuss financing options when you’re ready. You’re welcome to counter my offer, but know I had 3 a few days ago and now I have ONE, AND… this is the LAST Glacier Peak I’m going to see until this Autumn. The company (ORV) has decided to focus on building travel trailers all summer and will only plan on 5th wheel’s as we approach autumn, with an anticipated delivery in OCTOBER! We are looking at purchasing our 5th wheel in the last half of 2019. Thanks for the information on ORV’s build schedule. How difficult is it to find a used Titanium? Ok, so here’s the scoop – the 30RLS has had only 2 builds – one in early 2017 and one in late 2017. Mine is from late 2017. The first build would NOT be my first choice (ever) – as this is true for any company. The first build is basically a trial run to see what works and what doesn’t. The second build made several changes and frankly, I’m sure the 3rd build, due to be delivered to dealers around Oct 2018 will offer even more changes. With all that said, you asked about used titanium 30RLS’s – well, they didn’t make many in the 1st or 2nd builds, so, I doubt that even a few have hit the used market yet. Unfortunately, if you want a 30RLS (and frankly there is NOTHING that holds a candle to it on the market today), you’re going to have to go for a new one. I do happen to have 1 30RLS on my lot and as of this afternoon, it is still available. When it goes, I’ll be out of stock until at least October. Thanks for the information. I will be out to see you in the spring of 2019. I watched your video and have read everything that I could find on the ORV Glacier Peak Mountain Series. My wife and I have confidently purchased a unit sight unseen. 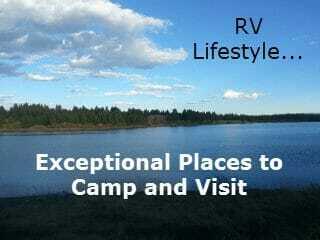 We have looked at dozens of RVs and we have rented several over the years. We have walked through other ORV built products and I know we are getting the right product for us. We live in Alaska and plan on using it year round to camp out and hopefully capture great winter wildlife photos and to have some winter sports fun. We’re heading to Anchorage area to pick it up next weekend. Look forward to giving you and your readers some additional feedback. Elliott, thanks for your kind words. Which model did you opt to purchase? (and what year)? Allen, we purchased the 2018 F30RKS-Carmel Toffee. Hi Allen, does the 30RLS come with washer/dryer prep and what kind of brakes do they use? To add solar just need to install panels? And is $67,000 about the msrp ? Chip, thanks for reaching out. 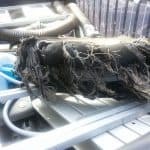 ORV (outdoors rv) is not looking for buyers who want a wash/dry hookup. I had a camper prior that had it, and I never used it. Overall, I’d MUCH rather use a laundramat than waste the space and extra weight (and expense) of a poorly engineered product like a rv washer or dryer. The roof does already have the solar panel connectors, yes; or do as I’ve done and get portable (which I prefer.) The MSRP IF you can find one is 75,000. (about), a poorly equipped one would be 67,000. Dealers will typically discount the 30RLS to 60,000 or less. I do have ONE 30RKS left on our lot at my dealership (its a titanium with a retail of 84500.) As to brakes, drum brakes. Dear Allen, Happy New Year! We have just started looking for 5th wheel. 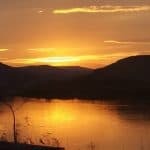 Love your reviews, appreciate the info..we live in Central New York and will be retiring in the future and wanting to travel the US & Canada, so full time. We have 2015 Palomino Dbl slide truck camper onto a Silverado dually 350…loving the sounds of the Outdoors RV Glacier Peak..sounds like we have to Travel West to see any and that their not available due to the industry crunch or are they available now? confused between the Mountain N Titanium series. Just went to a RV show in Syracuse, NY don’t remember seeing any Glacier Peaks. Thanks for your kind words. While ORV makes a truly superior product, at this time, they are not manufacturing a true full time 5th wheel. Seeing that you’re a few months away from a possible purchase, I’d encourage you to watch closely developments at Arctic Fox as it is rumored their will be a major “refresh” of their line and build for 2020 (expect trailers to arrive in early/mid summer 2019). Jayco has also just released a “baby pinnacle” (about a 36 ft model bumper to hitch) – its worth keeping an eye on as well for reviews. You never know when ORV will release new 5th wheels, so I would not count them out of the running. 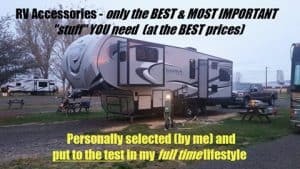 Allow me to suggest this – I have a concierge buying service (http://rvAcrossAmerica.net/buysell) through which I will get you a 5th wheel that meets your needs and at a superior price. 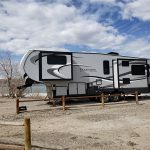 As to where to see them – Jayco of course is everywhere, AF has most of their dealer base in the west and you may not see them at rv shows in the east (they do have 1 dealer in Pa.) ORV has NO presence east of Colorado, so… they will not be found at rv shows in the east. Lastly, if you do opt for my concierge buying service, are you willing to travel to get “the deal”? As Allen stated above, both Arctic Fox and ORV make a solid 3/4 season RV trailer. Ourselves, we first looked at Arctic Fox trailers in MT. (too heavy for my truck) while returning from Alaska in 2016 to our home on Northern Ohio. At that time I never even heard of ORV. After planning a Yellowstone trip in the spring of 2017, we made it a point to stop at Allens dealership he worked at in WY. to see our first ORV Timber Ridge unit. After looking for a higher quality RV over the last 18 months here in Ohio, it took my wife all but 30 minutes to say “This ORV unit is the one”. Ended up buying from a OR. dealer, meaning we did a 4500 mile RT to pick it up. Yes, the closest ORV dealer is in Denver. Now Arctic Fox does have a RV trailer dealer in Cincinnati Ohio. But he is very limited on what he carries. After we picked ours up in OR., we did the factory tour in La Grande OR. I believe AF factory is just down the street. Since ORV has a west coast rally every June, Us east coaster’s put together our own “East Coast Rally” last July in Northwestern PA. (Cook Forest State Park). I was the wagon master. We had 10 ORV units, but also had some people drive in from other states just to look at units. I just heard they have set up this years east coast rally. Go on the IRV2.com website or try the ORV owners Facebook page….